"Location was exactly as described. Apartment has all amenities as described, really enjoyed that there were plastic wear for children. Well stocked and comfortable for our large party. Elevator..."
"It was great! Everything went very well. The housekeeper was exceptional!" "Very nice stay in Paris thanks to Paris Perfect. We hope to return again!" "I sat down to write a review of this apartment, but found that I was mostly writing a review of Paris Perfect. 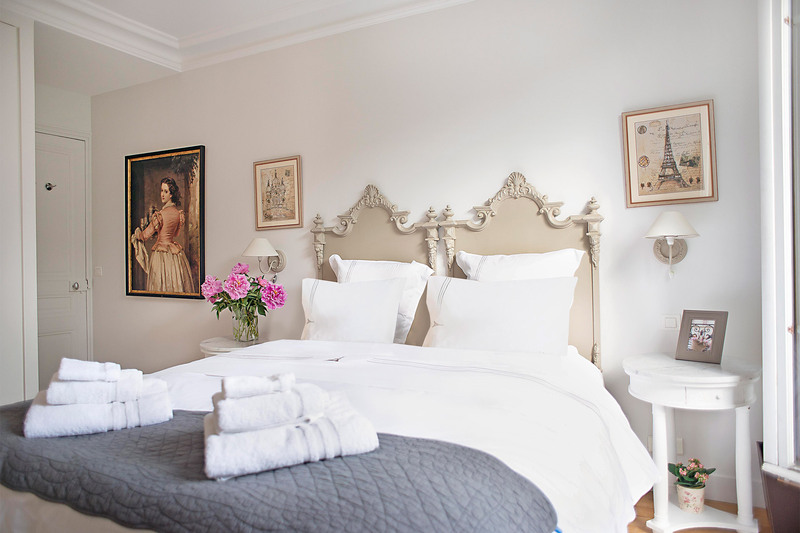 Having stayed in 3 of their apartments, it's my opinion that you can't really go wrong..."
The elegant Begerac apartment is a true Paris Perfect gem. With unobstructed views of the nearby Eiffel Tower, this three-bedroom rental is the epitome of refined city living. Step into a spacious open-plan living room, diner and kitchen. 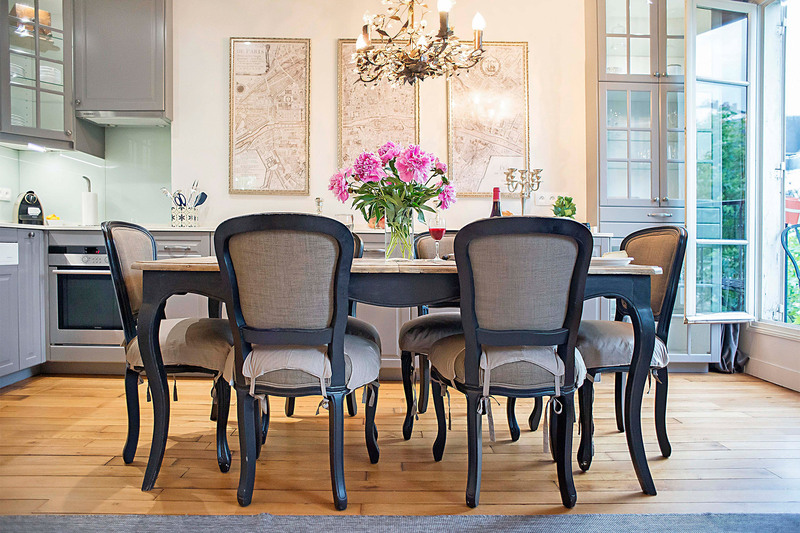 Designed to evoke typical French style, this light-filled space is chic and welcoming. Large French doors open onto stunning views of the Paris skyline and the Eiffel Tower-- a scene so magical that the apartment has been used for magazine photo shoots. Enjoy a glass of wine at sunset and wait for the light show from the tower to begin – you won’t regret it! 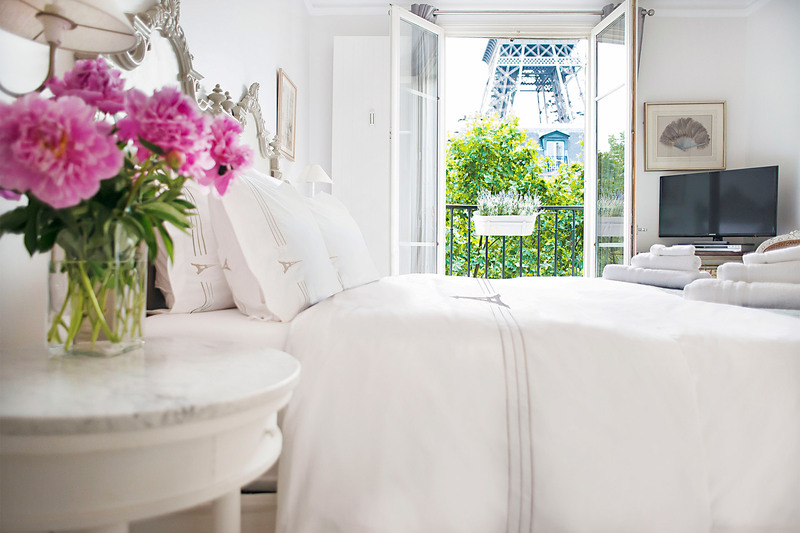 The master bedroom also looks out onto the Eiffel Tower – a reminder each morning that Paris truly is on your doorstep. 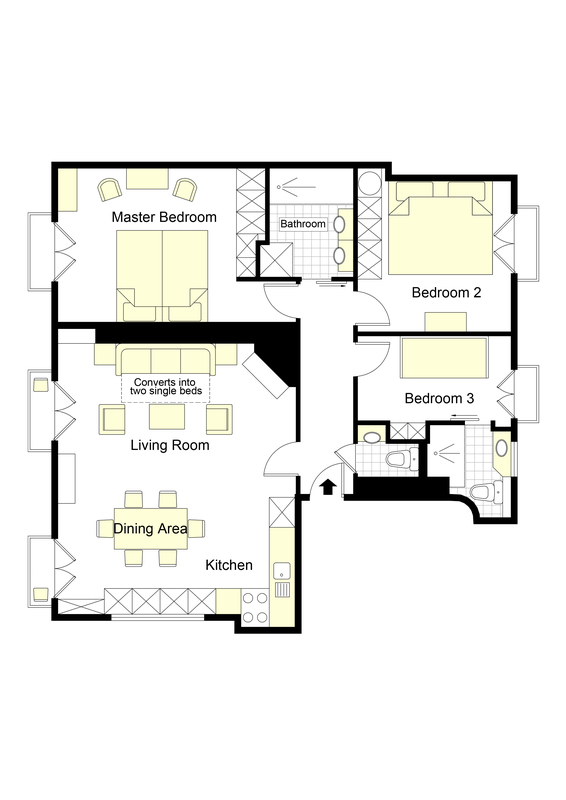 The two additional bedrooms are comfortable and inviting, providing plenty of space for the whole family to enjoy. Elegantly finished throughout, the Bergerac oozes refinement and romance to match its unbelievable location. 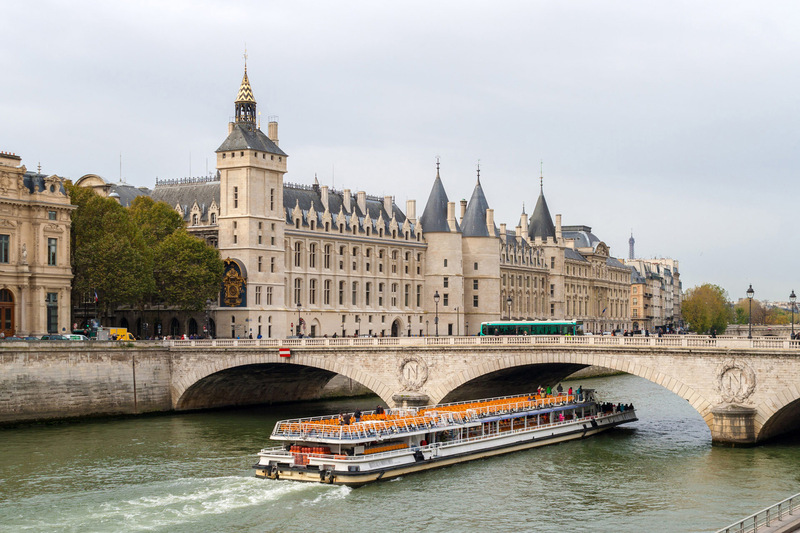 As well as having the Eiffel Tower at your fingertips, the Bergerac also makes it easy to explore the top attractions and historic monuments of Paris. The surrounding neighborhood has a lovely village feel and boasts plenty of authentic food shops, cafes and boutiques. For the best of French cuisine, visit the nearby Rue Cler open markets and feel like a local. The greenery of the Champs de Mars and the Seine are located just minutes from the Bergerac, so rent a bike or hop on a boat to truly experience this unforgettable city in style! 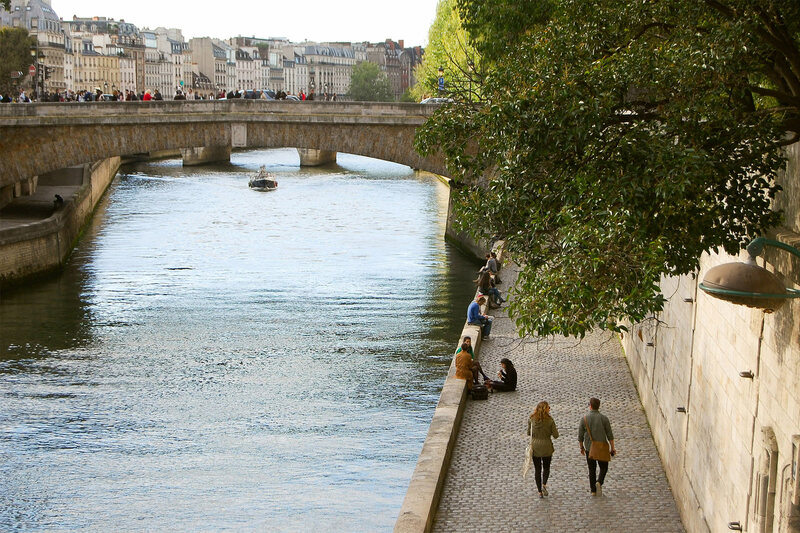 Just follow the river on a warm afternoon to enjoy all the best sights and sounds of Paris. Elevator: Apartment is located on the 6th floor (7th floor American). There are 6 broad steps from the street entrance to the elevator. Apartment security: Located in one of the safest neighborhoods in Paris. The building has a code panel on the outside door and a second locked inner door to lobby. The apartment door is steel reinforced. 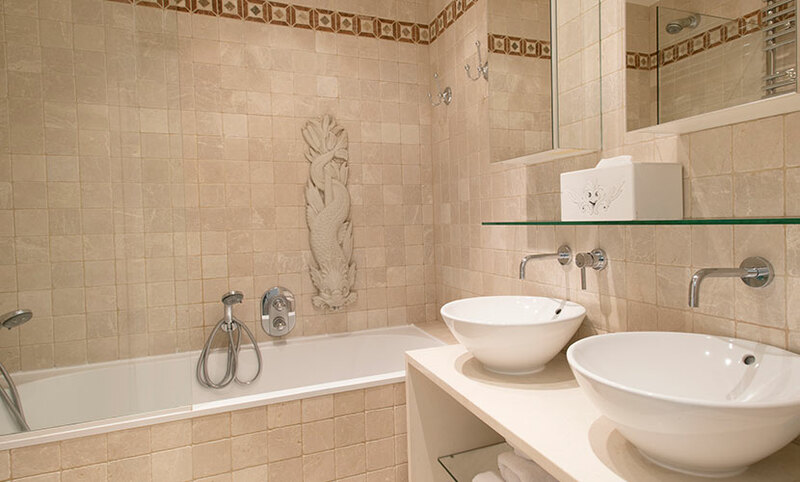 We hope you had a wonderful stay in our Bergerac apartment. Please take a moment and click here to share a review of your experience with us. "Location was exactly as described. Apartment has all amenities as described, really enjoyed that there were plastic wear for children. Well stocked and comfortable for our large party. Elevator was a must and this location had a very good elevator. Internet connection worked very well, was easy..."
food shops and restaurants at your door step. A few minutes walk to the metro. We found the Paris..."
"I sat down to write a review of this apartment, but found that I was mostly writing a review of Paris Perfect. Having stayed in 3 of their apartments, it's my opinion that you can't really go wrong with any of them. It's a highly organized operation that offers many extras that we haven't found..."
"Very comfortable, well and creatively managed. The 7th Arr. a delightful location. Getting around on the Batobus convenient (minutes away on foot) and a pleasure." "This place is really special. There are pictures on the web and our rental was in an incredible location. We were a short stroll from the Eiffel Tower - in fact, we went to the top of the tower twice (once during the day and once at night) and a third time for dinner at the restaurant. It is a..."
"My husband and I, and another couple stayed at Bergerac for 5 nights in June of 2018. 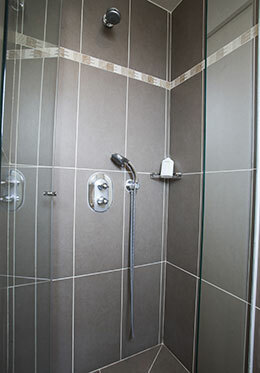 As always with Paris Perfect units, the apartment was very well appointed and very comfortable. 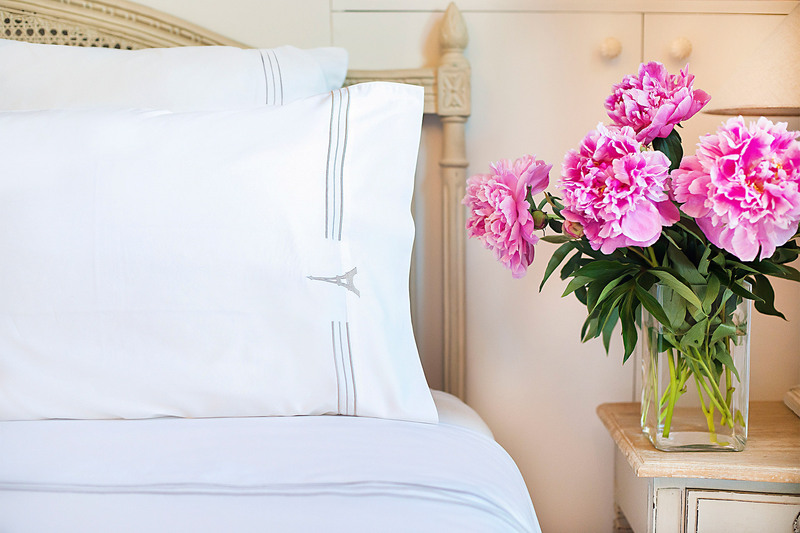 The sheets and towels are luxurious, as nice as any top-notch hotel. 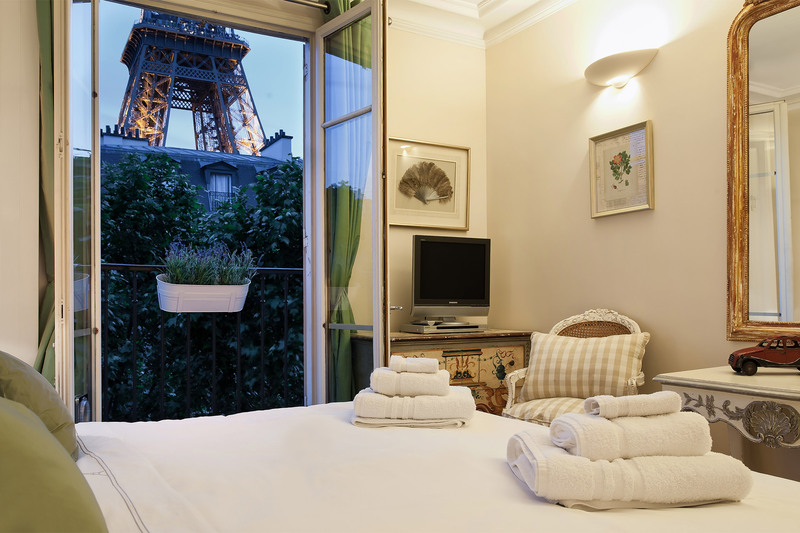 We prefer an apartment to a hotel, particularly..."
"Thank you Paris Perfect for a fabulous vacation! This is our second Perfect experience, as we enjoyed Italy Perfect in Florence a few years ago. Our family of four spent a wonderful week at the Bergerac. 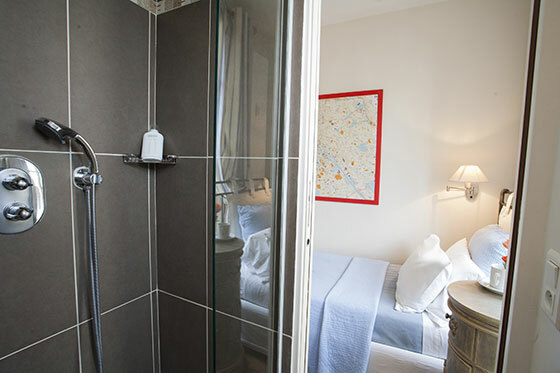 The apartment is located in the cozy 7th, with unreal views of the Eiffel Tower, and convenient..."
"This was our third stay in Bergerac and probably our 20th stay with Paris Perfect. The apartments are well appointed, perfectly located and the staff were most helpful in meeting any needs we had while staying. These apartments are beautifully furnished and very comfortable. I can't..."
"We had a lovely time at the Bergerac apartment: views, accommodations, neighborhood, etc. All have been praisedâ€”appropriatelyâ€”many times over in the reviews. I want to share another thought. This was precipitated by a comment in one of Maddy's recent blog..."
"We love the beautifully decorated and convenient location of this apartment. Wonderful views every night of Eiffel tower lights. Makes it a delight to stay. We will return!" 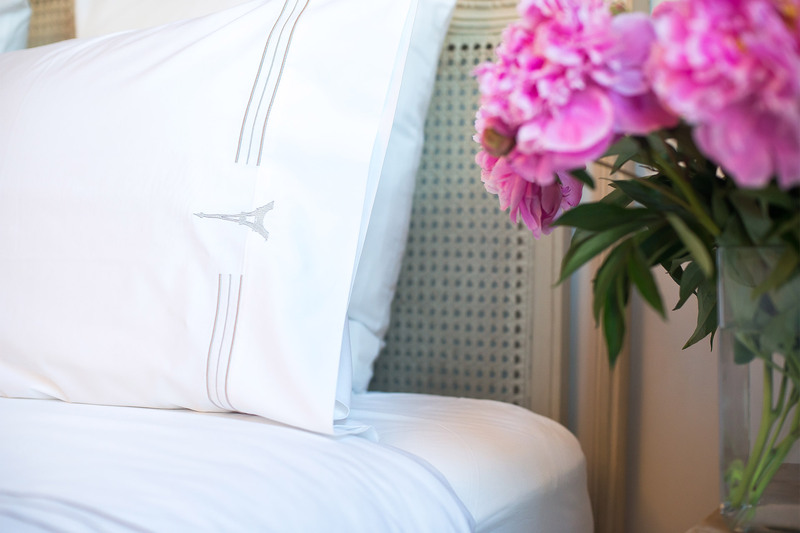 "What better way to experience Paris than lying in bed gazing at the twinkling lights of the Eiffel Tower? With an incredible view of the Eiffel Tower the Bergerac also has every convenience a family could desire including a separate dryer. 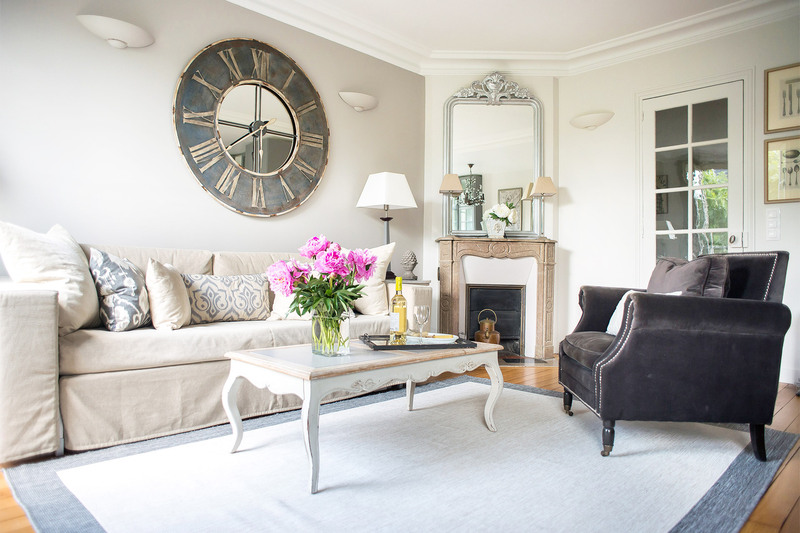 Our family of four slept well on the comfortable..."
"We stayed at the Bergerac apt in Paris for 4 nights in June and found everything to be fabulous! The apartment was perfect! I have mentioned Paris Perfect to many of my friends stating what a great company you guys are!!!! We'll definitely come to Paris again and book with your company, you..."
"Loved, loved, loved our stay! Apartment was PERFECT for the six of us. My daughters and granddaughters and I were more than happy with location, views, sleeping and bathroom arrangements. Highly recommend. Loved everything about Paris, but the Bergerac was the cherry on top." "Wonderful apartment, located one block from the Eiffel Tower. Clean and comfortable. Amazing views. The only negative was the elevator (lift) was out of service for 5 of the 6 days we were there and it's a climb of 117 steps to reach the apartment. Quite frustrating." 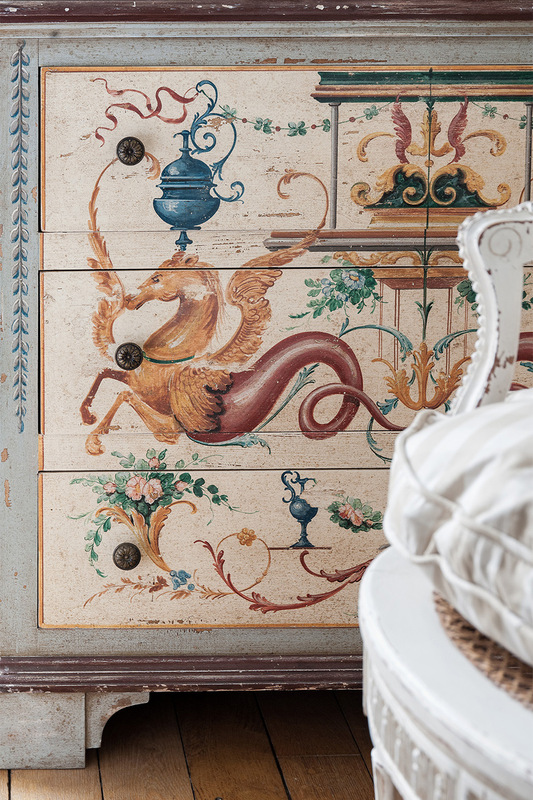 "We can't say enough good things about our stay at Bergerac. We started with a very helpful and cheerful greater who gave us a wonderful overview of the apartment and helpful information about the Metro, and restaurants nearby. The apartment's location is wonderful and as my 15 year old daughter..."
"From the very moment of booking the apartment, everything has been attentive to us: they sent us a lot of accurate information about the neighborhood (restaurants, boulangeries, patisseries, etc), as well as allowing us to anticipate the entrance to the apartment, since our flight arrived first..."
"I cannot begin to describe how great of a stay we had at the apartment, and how wonderful the hosts were! We are a family of 5 -- 2 adults, 3 children (ages 8, 6, and 5), visiting for a birthday celebration. The pictures here are completely accurate, but the view is even more spectacular in person...."
"the apartment was fantastic and the view was amazing! The entire team was very helpful and informative. The Paris Perfect team made our first trip to Paris unforgettable. Every detail was perfect, and their team was so helpful with everything from reservation to attractions. When Air France lost..."
"We stayed at the Bergerac during our wedding celebration week. It was wonderful! 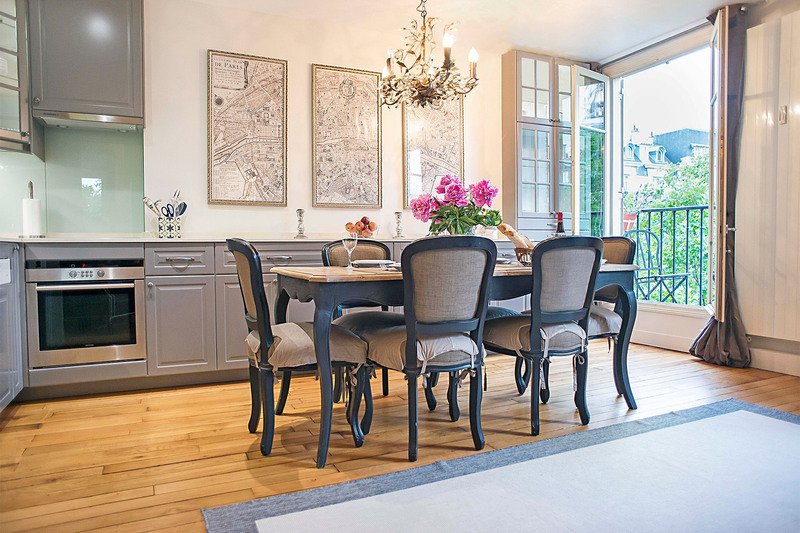 The apartment met our needs, the location was great and the Paris team fabulous!" "The apartment is perfect! Can't wait to return! The team were fantastic!" "This was by far the best apartment we have ever stayed in. The view on the 6th floor of the Eiffel Tower made all the difference! IT was amazing! Clean, elegant and beautiful. 3 bedrooms and 2 showers! 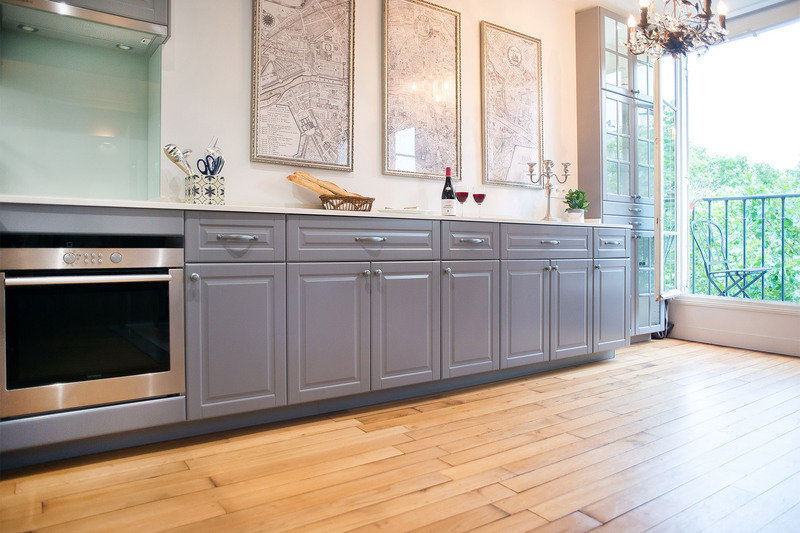 Beautiful modern kitchen and baths. This is a must if you come to Paris!" "We loved staying at Bergerac during our stay in Paris! 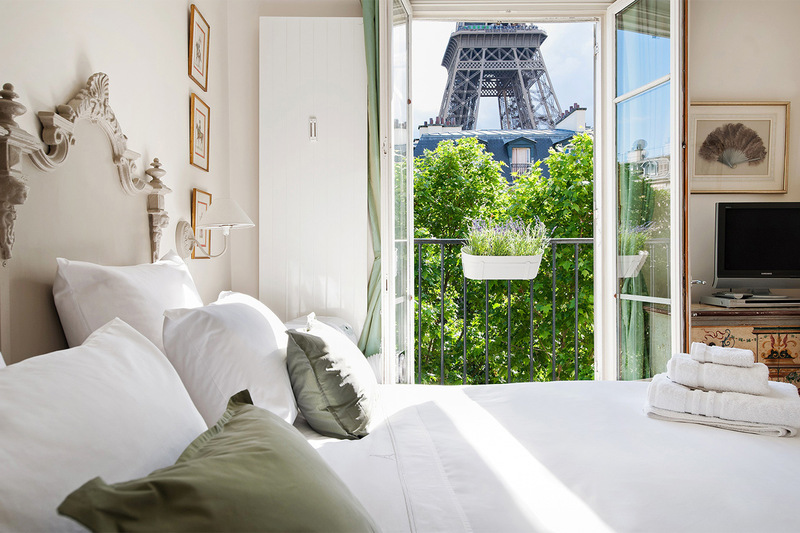 The location could not beat-- what better way to start and end your day then to stare out the window and see the gorgeous Eiffel Tower. The apartment was compact and small, but it was laid out in a way that was comfortable for our family. ..."
"The staff was great in making the reservation ...the Paris office was very helpful getting us into our apartment early. Sam the greeter was amazing and showed us everything ... The apartment is small but beautifully set up.. And the views of the Eiffel Tower were stunning...Great location great..."
"Beautiful apartment and lovely host who showed us around. Had an incredible view of the Eiffel Tower from all windows of the apartment. Loved the small elevator so that we did not have to climb to the sixth floor. Washer dryer worked well as did kitchen. Had independent air-conditioning units..."
"Bergerac is a lovely apartment located near the Champ de Mars. The view of the Eiffel Tower is unbelievable. It is right outside your window! I love the neighborhood restaurants. The apartment had all the amenities you need for a comfortable stay in Paris. 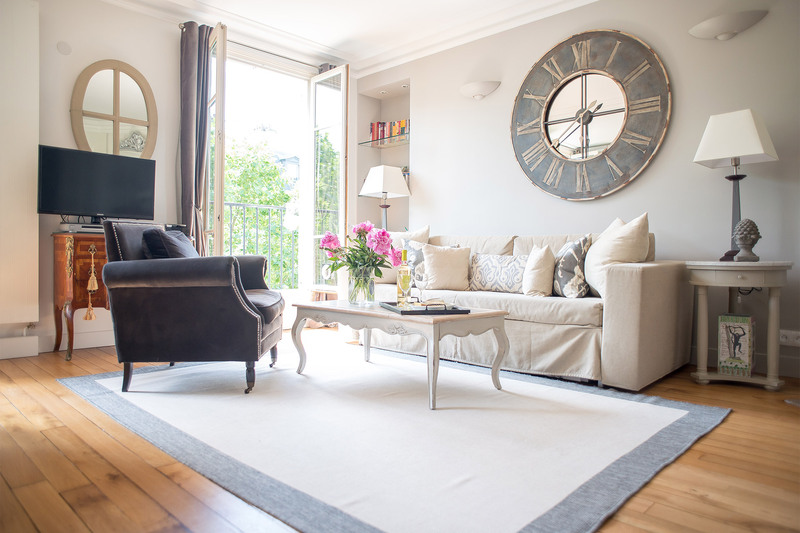 I recommend the Paris Perfect booked..."
"We stayed in the Bergerac apartment for five nights the first week in April of 2016 & absolutely loved it & the neighborhood! The Eiffel Tower was two streets over. We had a wonderful view of it & especially enjoyed its twinkling lights on the hour from the living room, dining area..."
"We loved the Bergerac. We were there for a girls' shopping trip and the apartment was perfect for our needs. As always the decor was exactly what you would expect from a Paris Perfect apartment. This is the fourth time I have stayed in a PP apartment and would stay no other place. The customer..."
"We've come along way from Indonesia for 10 days winter - mid January 2016 - holiday in Paris. The wonderful Paris Perfect team with fabulous 3 bedroom Bergerac Apartment did help tremendously!. We love the beautiful, fully equipped and supplied Bergerac apartment looking to 'oh so close' Tour..."
"Our stay was very enjoyable, and the team were excellent! Thank you so much for the use of such a lovely apartment!" "We LOVED the apartment! The team were fantastic!" "Beautiful apartment. Brilliant location. Stunning views of the Eiffel Tower. Friendly local shops and restaurants. Excellent meet and greet. Would stay here again. My only criticism was that the apartment is listed with air conditioning .... this was in the form of 3 evaporative coolers. 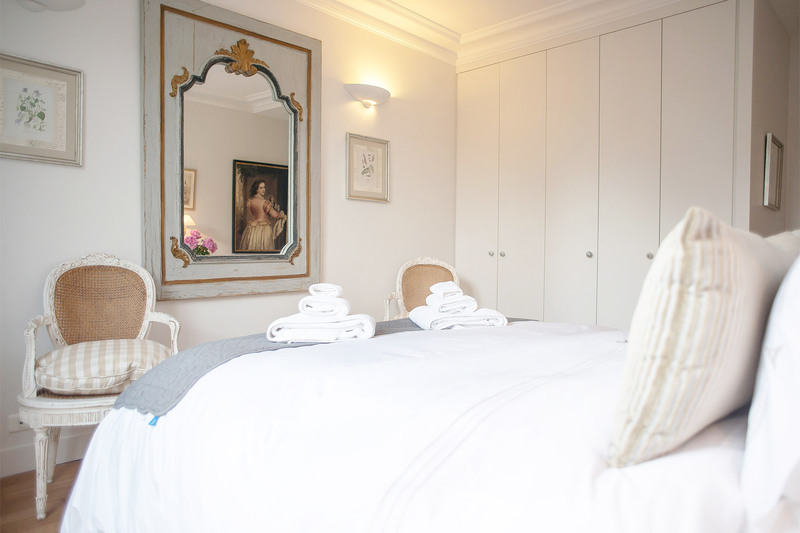 We..."
"This was our 5th visit to Paris and have enjoyed staying with Paris Perfect each time. We love waking up to see the stunning views of the tower and walking down the street to get a croissant to start our mornings in Paris. Absolutely love the apartments, staff and will return again...."
"The apartment was just as we remembered. All the advance information and from the Paris Perfect website was useful. Cafe Constant is very good. The team were A+, including Victor." 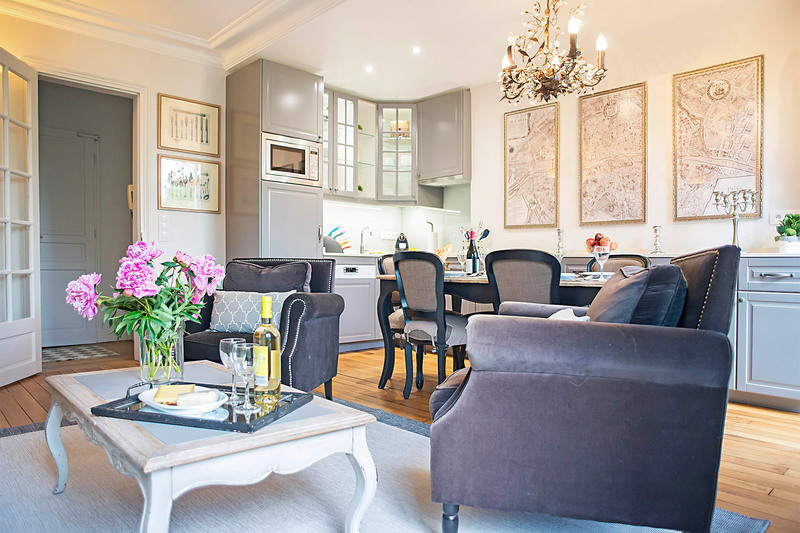 "My daughter and I recently enjoyed eight perfect nights at the Pinot and Bergerac apartments, exceeding our expectations in every way. The location is ideal, the apartments were gorgeous with every amenity imaginable, and the views of the Eiffel Tower were spectacular. "The apartment was really lovely, very central and easy to move around from. All information provided was concise and useful. Our greeting with Kevin was really good. He met us on time and was really pleasant to deal with." "We found Bergerac to be the perfect apartment for our family of four. 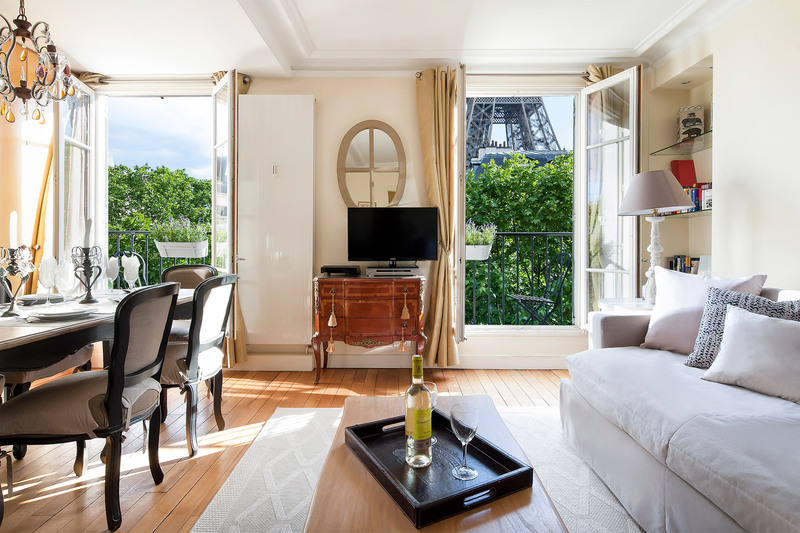 From the tasteful furnishings through to the jaw dropping view of the Eiffel Tower the apartment exceeded even our highest expectations. The apartment had been well maintained and had all the facilities that we..."
"We went to Paris for a girls trip and had an amazing time in Bergerac. The proximity to grocery stores, the river, restaurants, metro, busses and more can absolutely not be beat. One of the absolute highlights for me was being able to drink tea and have a late-night snack in the living room and..."
"This is our second time staying with Paris Perfect in Bergerac. 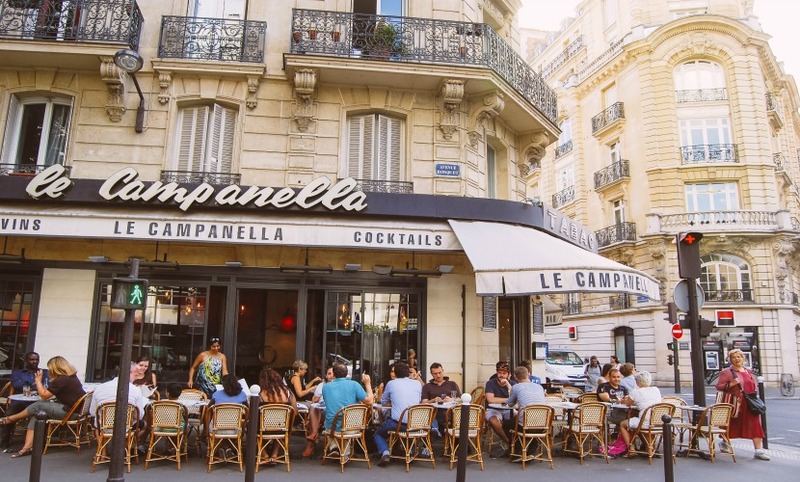 We love the neighborhood feel of the 7th arrondissement with fabulous bakeries, cafes and restaurants just around the corner and easy access to all the sights. The apartment was lovely and immaculate...and the view of the Eiffel Tower..."
"We stayed in Bergerac in December and really enjoyed it. 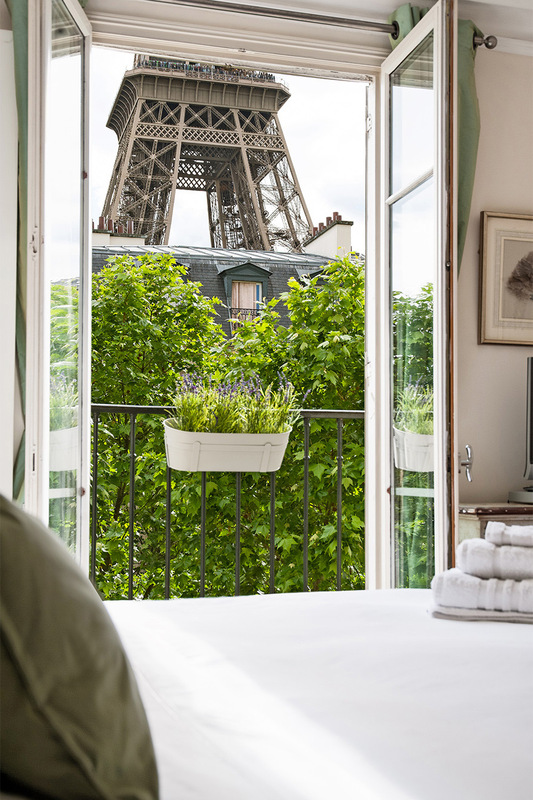 You simply can't beat the location -- just a block away from the Eiffel Tour with great views of it through the windows! How many times did we sit in the living or dining area at night enjoying the view while consuming some fabulous pastry..."
"We had a wonderful stay over the Christmas holidays with 2 small children and 4 adults. 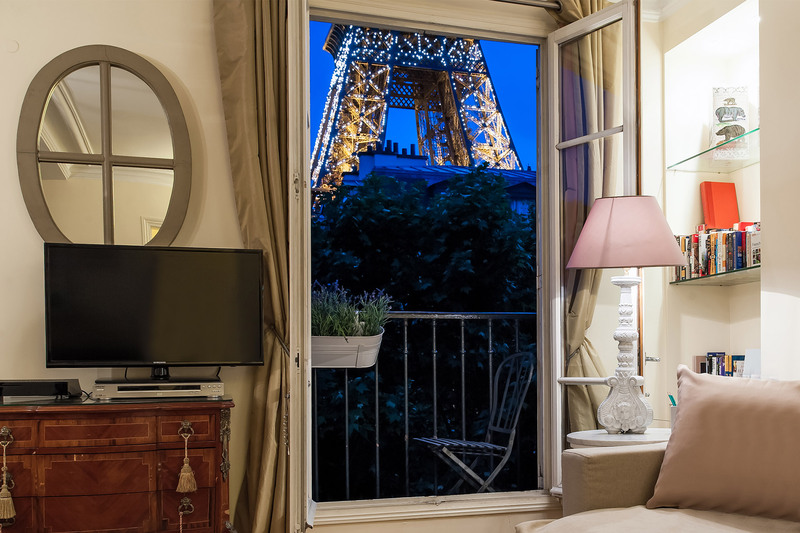 The views of the sparkling Eiffel Tower were magical, and the apartment was clean, tastefully decorated, well appointed and provided us with plenty of space. It was great to be able to come home to a quiet and..."
"Bergerac was in the perfect location and accommodated three adults and a child comfortably. Each evening, we felt as though we were returning "home." 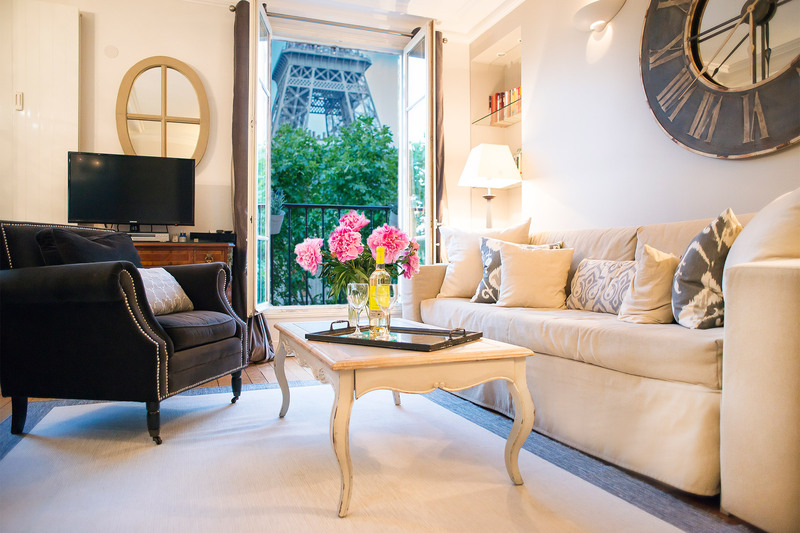 The apartment was lovely and every detail was taken care of for us from having a driver meet us at the airport to providing all the..."
"Wonderful apartment, with a beautiful relaxing view of the Eiffel Tower. Perfect location, easy to get around to all the sites of Paris. We would definitely return to this apartment and recommend to our friends." "A little small by USA standards but beautiful apartment looking out at the Eiffel Tower. ParisPerfect has a great support staff and local guide book came in very handy. Kevin our greeter was right on time and couldn't have been more helpful. Thank you for a wonderful stay." "This top floor apartment is beautiful as you might expect. But, the view from the windows is magnificent. The Eiffel Tower looms so beautifully in front of you and is so close that you really must consider it as part of the Bergerac's charms. In addition, the cafe on the corner, Bistrot de La..."
"All info was very good. Apartment was perfect, but you have heard that before I'm sure. Team was great." 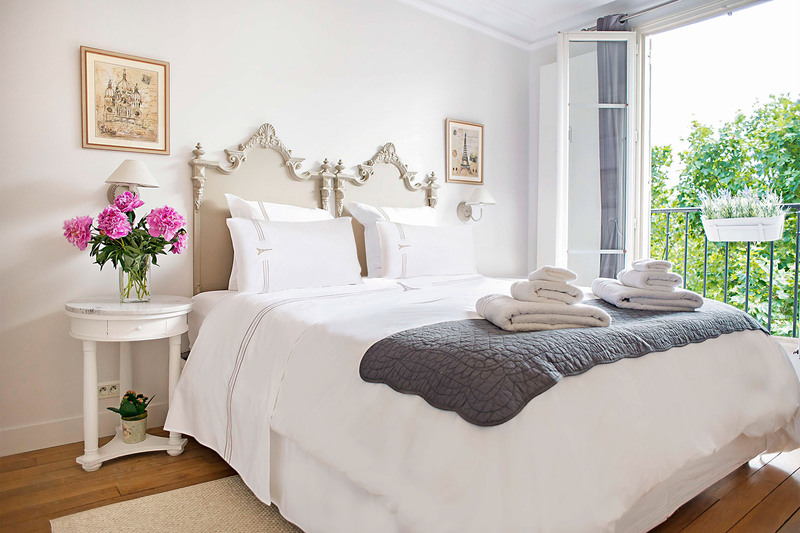 "Our stay at the Bergerac apartment was absolutely perfect! From the minute of booking the apartment, the team at Paris Perfect was beyond helpful. They provided us with every detail that we would need. The driver they recommended was prompt and friendly. The greeter at the apartment was..."
"Our Paris week was in a word perfect. There were five in our group and we all found the Bergerac well appointed and very comfortable. The Paris Perfect team were very helpful. We certainly appreciated the car service they recommended. Thank you for a great week." 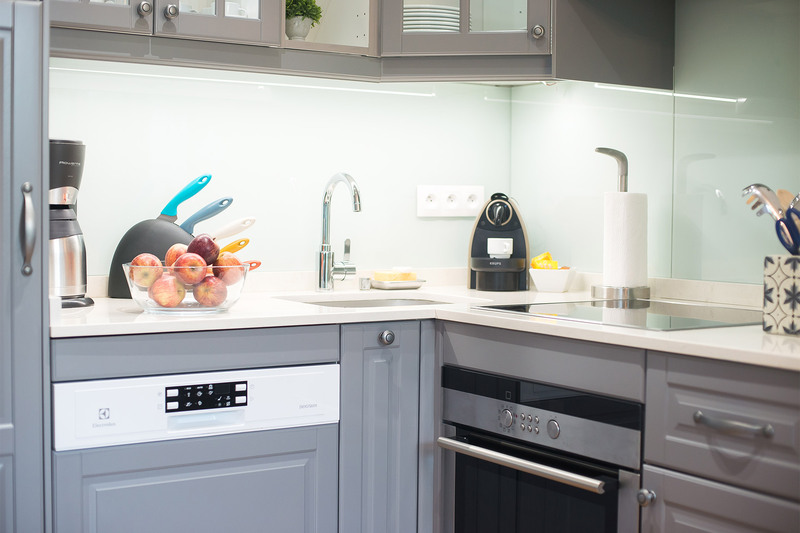 "The Bergerac was perfect for our family of 5. We brought our 3 children (15,14, and 12) to Paris for their Spring Break. The apartment is beautifully decorated and very comfortable. The location cannot be beat! What a beautiful view of the Eiffel tower. We ate so many delicious meals right in..."
"I had a marvelous stay at the Bergerac apartment during a girlfriend getaway in Paris just before the Christmas holidays. The apartment is beautiful, very comfortable and extremely clean. 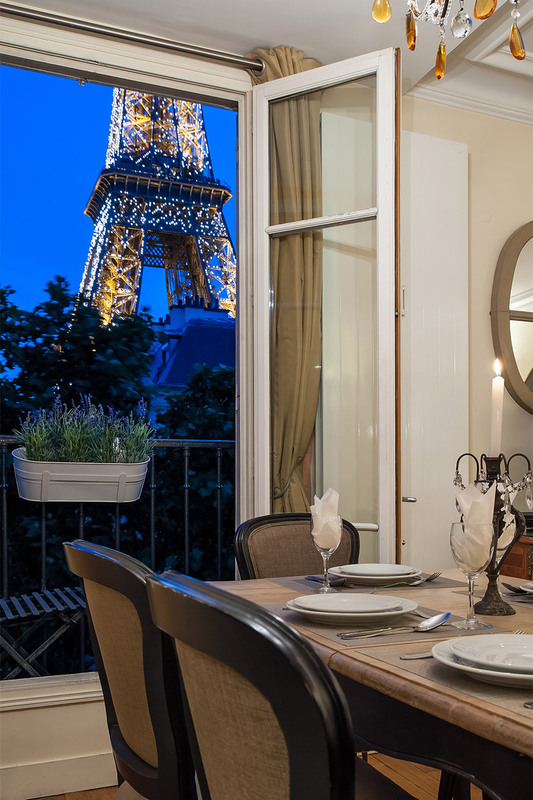 The location is absolutely perfect ... and the views of the Eiffel Tower magical! We loved the great shopping..."
"Absolute stunning view of the Eiffel Tower. Lovely to sit in the living room and read or listen to music, enjoying true Parisian atmosphere. We really enjoyed our stay." "Our stay at Bergerac was perfect in every way. The apartment was so very nicely equipped and decorated...once Kevin took the extra fans away! My family loved being there and my French friends were impressed with the quality of the environment and everyone with everything....with one exception..."
"Our stay at the Bergerac apartment last month could not have been more perfect. From the moment we walked in and saw that, yes, that IS the Eiffel Tower we were transported. The neighborhood was delightful. I was a bit afraid that it would be crowded with us (tourists) but despite its proximity..."
"Bergerac is a beautiful apartment and has an incredible view of the Eiffel Tower. 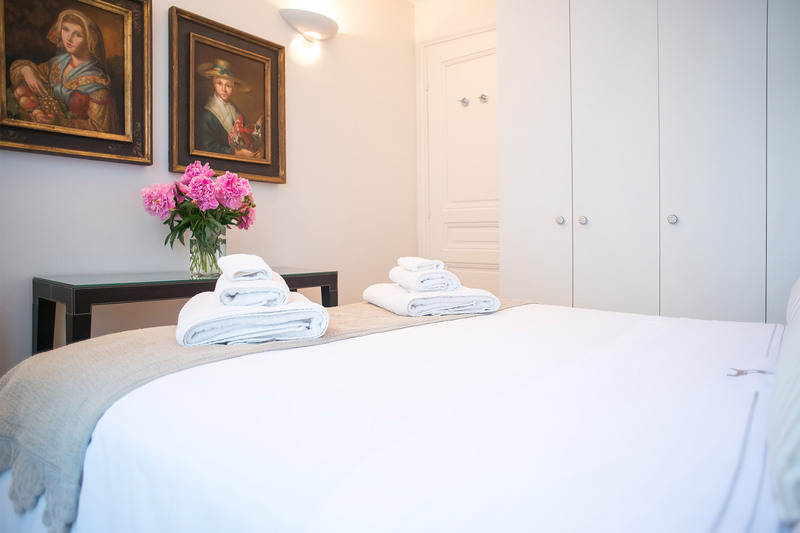 I stayed here with friends and found it to be very comfortable, great location and equipped with all the amenities to make our stay in Paris enjoyable. The Paris Perfect team is wonderful and a pleasure to work with..."
"We stayed in Bergerac November 9-16 and we had an outstanding stay. We were met by our greeter and told everything we could ever hope to know about the apartment. The apartment is very well appointed and is just as it looks in the pictures provided by Paris perfect. The view is second to none, in..."
"Our second stay in Bergerac was as wonderful as the first. The view is spectacular and the apartment is ideally situated for shopping and sightseeing and several Metro and bus options . 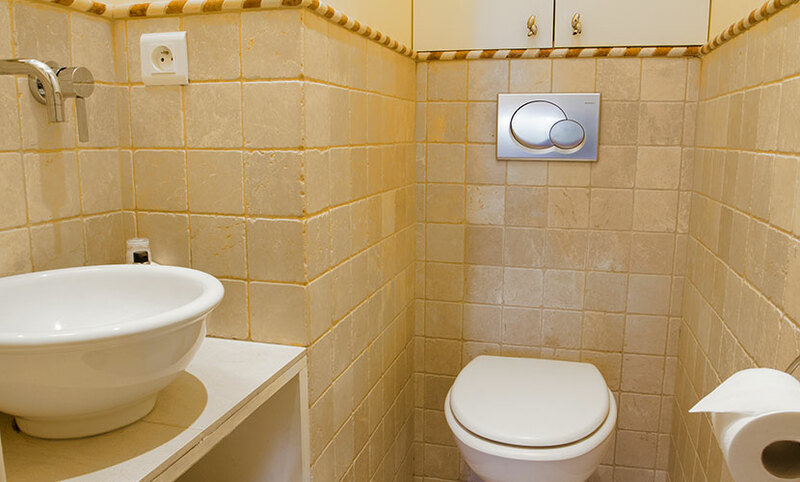 The apartment has all the amenities one could want, is quiet, and well heated.Early risers won't disturb the..."
"Staying at Bergerac worked out perfectly. Everyone was happy with their sleeping arrangements and instead of getting two hotel rooms we were able to spend more quality time together in one place. 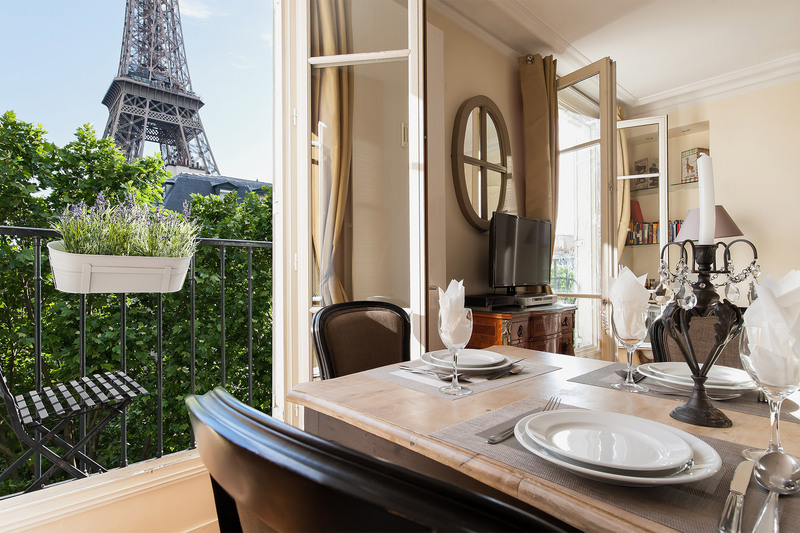 The apartment is in a great location and has a gorgeous view of the Eiffel Tower. We would definitely..."
"Had a great time - loved the apartment - thankyou!" "We returned on June 9 from our beautiful stay at Bergerac. What a fantastic location and the view of the Eiffel Tower is unbelievable. The Paris Perfect team does a great job of providing information and helping clients to "settle in". 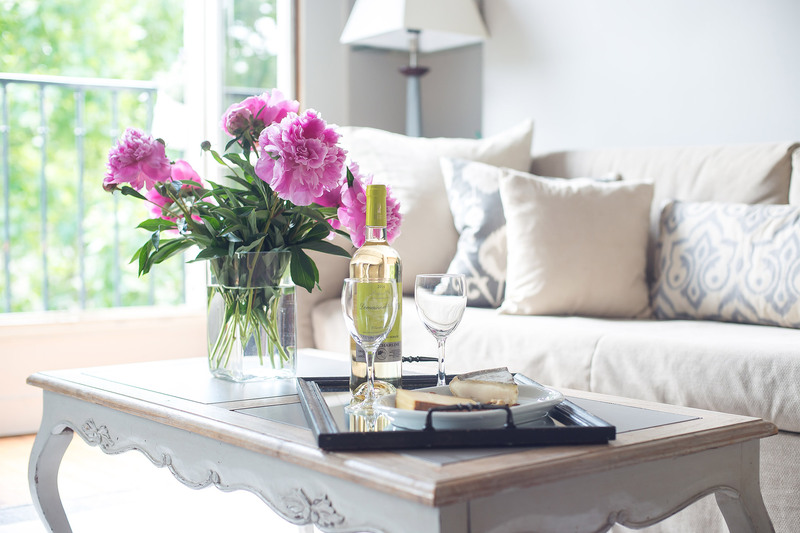 Thank you especially for the lovely bottle of white..."
"We had a lovely stay at the Bergerac apartment. The view of the Eiffel Tower was indeed superb! We were 5 adults ladies and the place was just the right size for us. The location is nice, convenient and we felt extremely safe around the neighborhood even when walking home some late nights. We..."
"Wonderful apartment for family of four, with all the amenities and superb location. Close to Metro for easy trips around the city as well. Elevator in building made hauling luggage very easy. Restaurants and markets all walkable, English-friendly and great quality. We loved it!" "The Bergerac was the "perfect" location for our family trip to Paris(4 adults and 2 children). 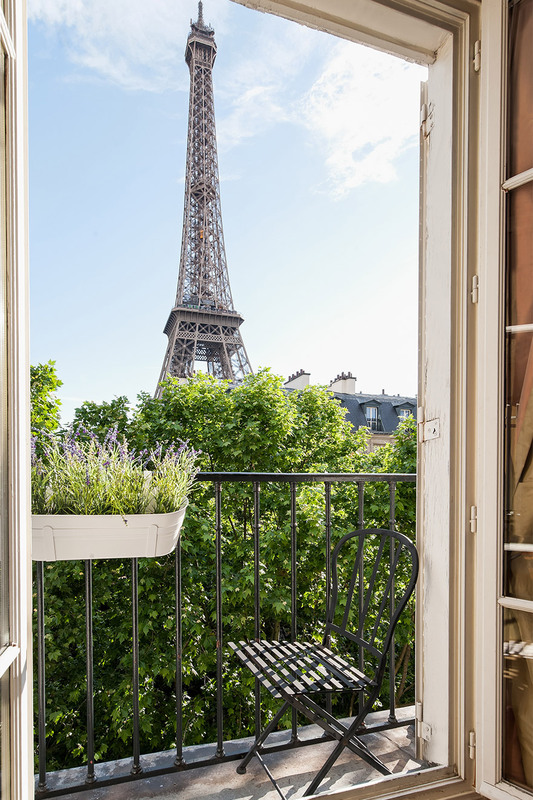 The apartment was warm and welcoming; beautifully decorated, totally renovated and updated AND it has the most spectacular view of the Eiffel Tower ... which is, literally, just steps away!" "Luxury and comfort without equal!" 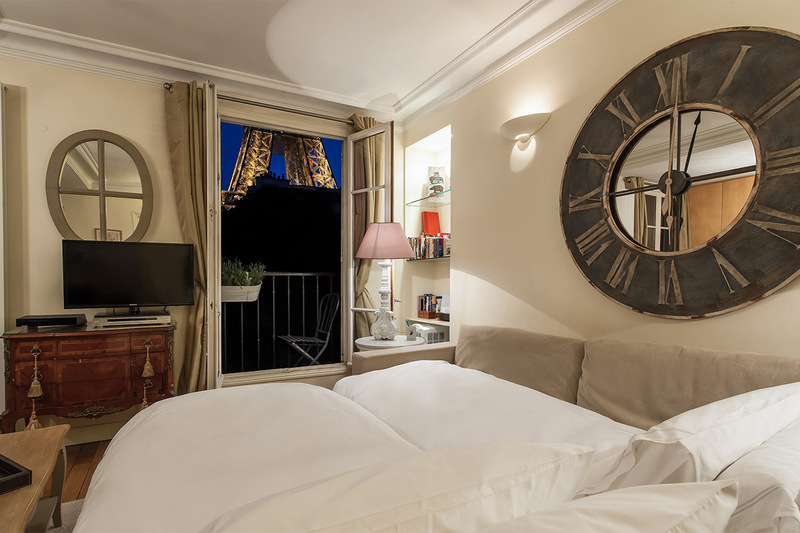 "We had the great fortune to spend 5 days at this fabulous site near the Eiffel tower in Paris (the Eiffel tower is literally right outside your window!). We are a family of two adults and 4 children and needed a roomy place that was convenient for sightseeing. "We stayed at the Pinot at 67 ave, de la Bourdannais. It was all that was advertised. Very quiet at nights, very bright and cheerful during the day. We were there for 2 weeks. The area was perfect, the lovely Parc de Mars across the street and easy access to excellent restaurants within 10 minute..."
"I have a woundeful time in Bergerac and in Paris!!! I hope to go back soon!! "The Bergerac was everything we wanted it to be. Walking distance to key sights and surrounded by streets filled with Boulangerie and cafes. Facilities in the apartment were plentiful and absolutely suited the need to accommodate 6 people comfortably - and more if the need arose. "I have been at your apts, three times, and we have been always very happy, they have all the things you need and they are decorated so beautiful, living in an apartment in Paris makes the difference!!!" "My husband and I shared Bergerac last week with close friends to celebrate my birthday and our friendship. It was indeed the perfect apartment for two couples, and a great base from which to explore Paris. The views were lovely day and night, the neighborhood was charming. 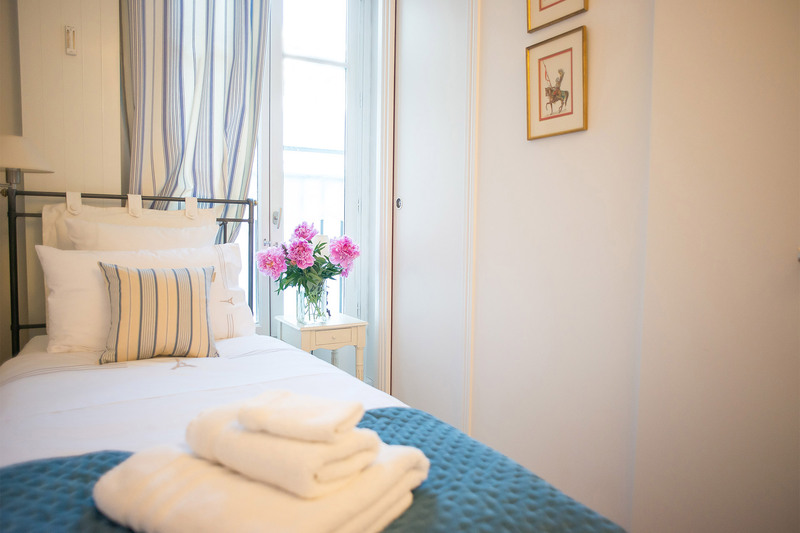 The staff at Paris..."
"The Bergerac apartment provides a lovely location for a stay in Paris. 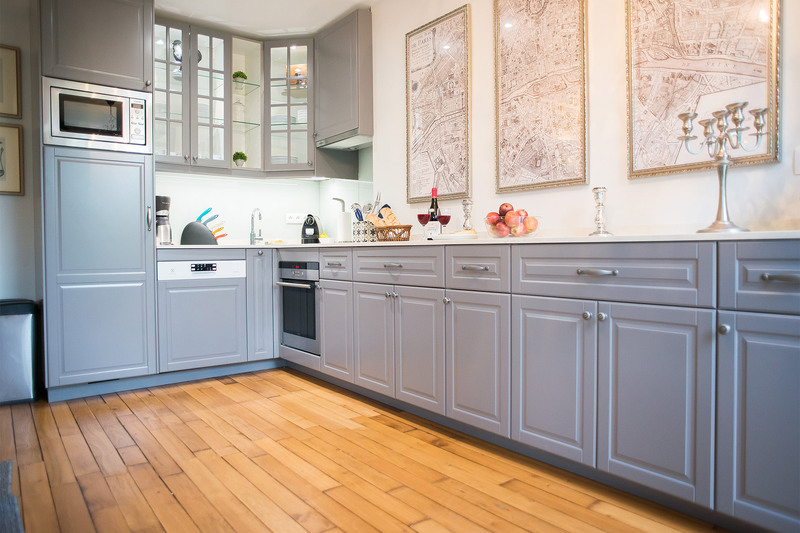 Close to the Eiffel Tower and the boats on the Seine, convenient to food shopping areas and moderately expensive but superb restaurants, the apartment is roomy enough for 4 adults. 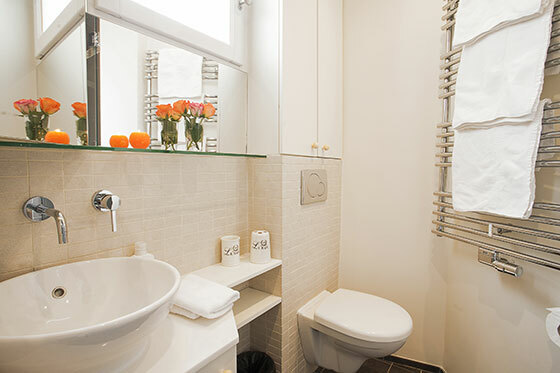 The hosts are helpful and all instructions are..."
"The Bergerac apartment is perfect to get a true Paris experience. The tree lined street was an added bonus that made you feel relaxed and not rushed,of course nothing tops looking out the window and the Eiffel tower was right there. Every night we were blessed with seeing the tower light up and..."
"Your whole team was great to us, the apartment worked out very well and Victor never let us down. We have already given your name to three people and will be sure to use you again if we return to Paris." "Would highly recommend your company and this particular apartment. Not only did you answer every question and return every phone call promptly before we got here, your customer service aftr we arrived was superb. Thank you for adding even more magic to an already magical city." 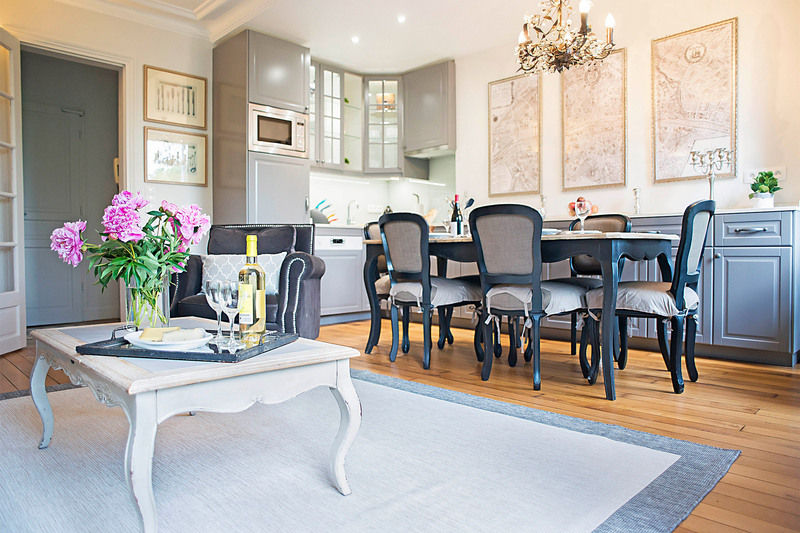 "The "Bergerac" is surely the jewel in the crown of Paris Perfect apartments! The view of the Eiffel Tower by day and by night, with its sparkling diamonds for 5 minutes at the top of the hour after dark, is breathtaking. The apartment itself was just the right blend of comfort and..."
"We had a gal pal birthday party in Paris...it was the perfect spot for the ultimate pj party. Six of us were all under one roof instead of multiple hotel rooms... makes for so much more fun. We had easy access to all of Paris. The tour guides recommended by Paris Perfect were great...as were the..."
"This was a truly lovely (well-appointed, well-serviced) apartment in an excellent location. The quartier is wonderful, and the sense of feeling well-hosted made us long to return. And the view!! The best in Paris." "We had a marvelous time,a really memorable holiday. It was made even more so by Paris Perfect's staff. They were always most helpful. The apartment was charming,everything of very nice quality,and everything you could possibly need. Cannot wait to come again. The Medical service recommended by..."
"We have been to Paris many times but only stayed in Hotels. This was our first experience in an Apartment and it will be the way we stay in Paris from now on. From making the reservation to closing the door for the last time, our special holiday in the Bergerac Apartment was wonderful. The staff..."
"Staff was super! We had the best time and we're sorry to go!" 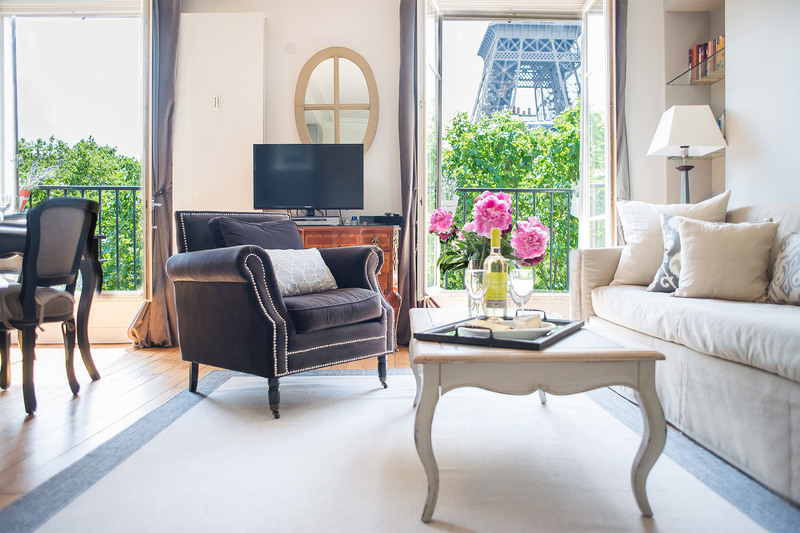 "How could anything be more perfect than booking an apartment through Paris Perfect. We are now back in Australia and can reflect on our month long trip and what wins hands down is the time we spent in both Champagne and Bergerac apartments. 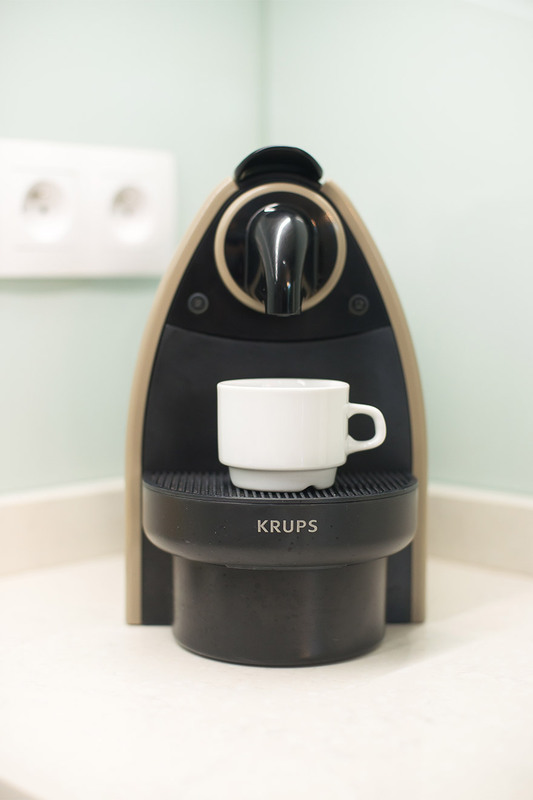 The Christian Constant cooking school was a highlight..."
"Our stay in Paris was wonderful! We knew that from our initial contact with Paris Perfect we were dealing with a most professional organization...your communications provided us with a wealth of information even before we arrived. Once we arrived at our beautiful apartment we knew we had chosen..."
"We loved our stay at the Bergerac. Each night we enjoyed the twinkling lights on La Tour Eiffel, the proximity to everything was perfect (although we had trouble with the 69 bus schedule - it was not running efficiently). The apartment is completely stocked with all kinds of conveniences. Read..."
"We had a fabulous time in Paris and especially enjoyed our condo, Bergerac. It was exactly as described on your website and even better. I would also love to add a couple recommendations for your Paris guide book (which we found very helpful). Sophie was a fantastic chef who came to..."
"Bergerac was a wonderful pied a terre for our 6 days in Paris. The three bedrooms were quiet and comfortable, and the bathrooms were wonderful. We appreciated the washer and dryer, and used the efficient kitchen for breakfasts and some dinners. The kitchen is especially well stocked with dishes..."
"All I can say: perfect view, perfect location, perfect service, perfect accommodations! I guess that's why you're called Paris Perfect. We had a perfect time in Paris and will surely stay in one of your apartments again!! Thank you." 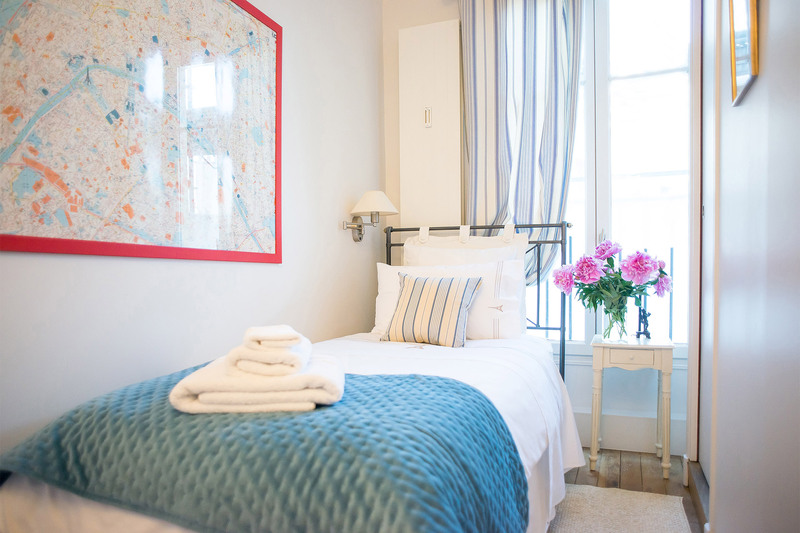 "We recently stayed in the Bergerac Apartment and had the most wonderful time. The apartment was perfect for all of us, location great and view very impressive. 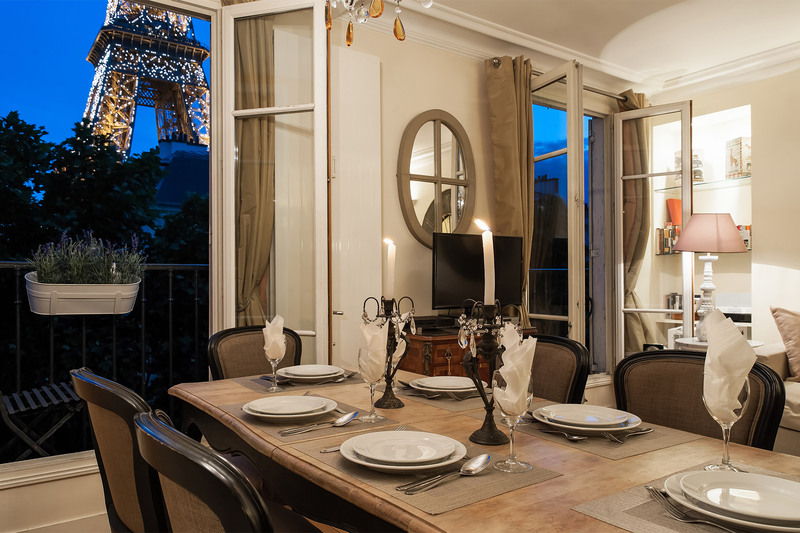 We have stayed in Paris Perfect apartments twice now and both times have been impressed with the apartment and the location...."
"Our apartment next to the Eiffel Tower was perfect. It was a wonderful home away from home, and it gave us the chance to feel like we really lived there, even for a short while. And there was always the support of the Paris Perfect staff if we needed anything. 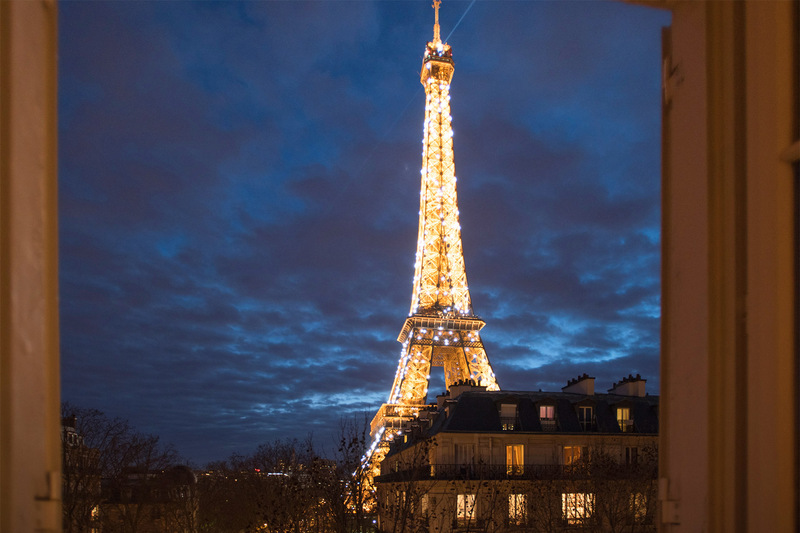 Best of all, though, was all of the..."
"Great apartment with wonderful Eiffel Tower views. Had a fabulous time - just love Paris and the 7th! Restaurants great - just a pity the Aussie dollar wasn't more accommodating! Will be back and will stay with Paris Perfect apartment." "Thanks for living up to your name! We had a flawless time in Paris at your apartment. Everything was in order and it was all very comfortable. We look forward to renting for you again. Your guide to the apartment was very well thought out. Even better was the great guide to all the local..."
"This was our first time in Paris with our daughters ages 10 and 13. We have rented fantastic houses with them in Italy and Spain. This apartment proved to be equally wonderful. Thank you for all the great recommendations. We enjoyed the local restaurants, shops and bakeries. Michael Osman is..."
"We have stayed in Paris Perfect apartments twice on our vacations and have always enjoyed the apartments offered. There is the obvious fact that the view is truly breathtaking. This is a nice neighborhood full of authentic patisseries. The apartment itself is a home away from home. It is..."
"5 ladies from Virginia - all enjoying different agendas: one on business, one to study and draw, 3 to be happy returning tourists. We found everything "as advertised" and very comfortable. Thank you so much for the excellent tips and research supported in the book and before our..."
"The view is great! Every hour from 6pm there is a light show on the Eiffel Tower. The location is great, it's in the middle of everything and there are many close metros. We had a great time in Paris! The apartment was clean and close to a supermarket. The space is great for our family of six...."
"Thank you - we had a wonderful week. Appreciated the attention to detail - nothing we needed. Had every intention of trying your restaurant suggestions but at the end of the day we could think of nothing better than kicking the shoes off and enjoying the delight from rue Cler in front of our..."
"I'd forgotten how lovely the 7th is. The apartment is lovely part of Paris. My kids managed to see me from the balcony when they were at the top of the Eiffel Tower. Lovely few days in Paris again." "This was our first visit to Paris. The flat was fabulous and the location perfect! Our children loved Paris and we did too." "We have been coming to Paris on a regular basis for twelve years and we are acquainted with a lot of this special city. We have stayed in lovely charming hotels in Saint Germain but after this rental experience I doubt if I will never go that route for long visits. We brought our parents here and..."
"Having a Paris experience is wonderful in itself, but having this accommodation made it most wonderful! The process with Paris Perfect could not have been any better or easier - thank you for that! Thanks again, had a trip of a lifetime!" "This was our first time in Paris as a family. The apartment and neighbourhood were wonderful. The apartment felt just like home and was very comfortable. We enjoyed going to the bakery on "Rue St Dominique". We sent our father down every morning to get fresh bread and pastries. The..."
"Thank you for having a lovely French apartment available to tourists. Our family with 2 teenage boys enjoyed our stay. Mom in particular loved the "Parisienne" ways of the neighbourhood. We particularly appreciated the yellow book and read it daily. Merci Beaucoup. "Thank you so much for opening your home to us! We had a wonderful stay and would love to return! The view of the Eiffel Tower, especially when lit up at night, is exquisite as is the warmth shown us by local merchants. 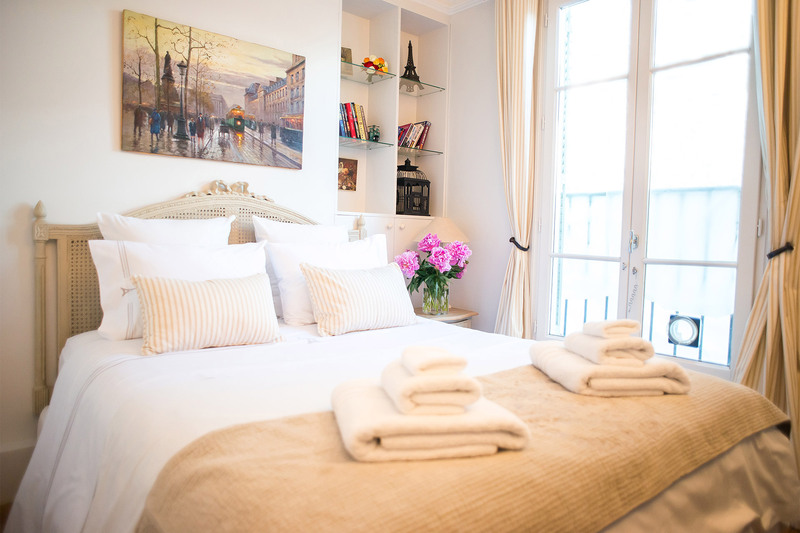 This was the first time that we brought our two children to Paris and we..."
"We loved our 7 night stay at this beautiful apartment. We have been to Paris 8 times prior to this trip but we always stayed at hotels. Even our last two visits staying at the Four Seasons Hotel George V could not compare to staying at this incredible apartment. The view from this unit is..."
"I can't believe it's been a week here already - I'm not ready to leave! The apartment is fantastic and the location ideal. We had a wonderful week here with perfect weather to allow for all our activities. The nature of the visit was totally different and fantastic, with the apartment as a base..."
"We have enjoyed a wonderful week here, and one reluctant to leave. 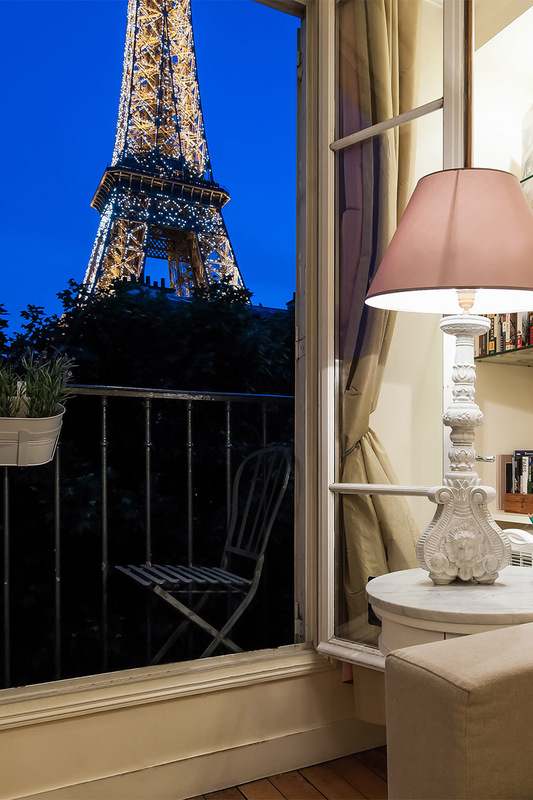 The apartment is so convenient, with the amazing view of the Eiffel Tower. Everything we needed was here, and your yellow books was most helpful. All the places we wanted to see were every better than we hoped, and we enjoyed..."
"We absolutely loved staying here. Everything was in walking distance, the food recommendations were great and it created a nice, easy place to come back to at the end of a long day. Paris is beautiful - the food was fabulous and I definitely want to come back and see some more!" "We have loved our 3+ weeks here - really living in Paris - shopping at the Wednesday and Saturday markets on ave President Wilson - preparing fabulous dishes, exploring new parts of Paris, entertaining guests and our son. What a wonderful month! We can't wait to return!" "This is the only way to vacation in Paris! The information and recommendations provided by the Paris Perfect staff are impeccable. Flowers from Cler Fleurs are huge, beautiful and great prices. Davoli on rue Cler ahs wonderful prepared foods, chocolates from Gregory Renaud are out of this..."
"Where do we start? Never could have expected to stay in an apartment as lovely as this. We completely enjoyed the location, the views and the Parisian lifestyle. This location allowed us to do all of the normal sightseeing and also immerse ourselves in the day to day lifestyle of Paris. The..."
"My daughter and I had an amazing week here. Everyone was so helpful. The neighborhood restaurants and grocery stores were all wonderful and warm to us. The Paris Perfect staff went above and beyond their duties to make us feel at home and available if we needed anything. 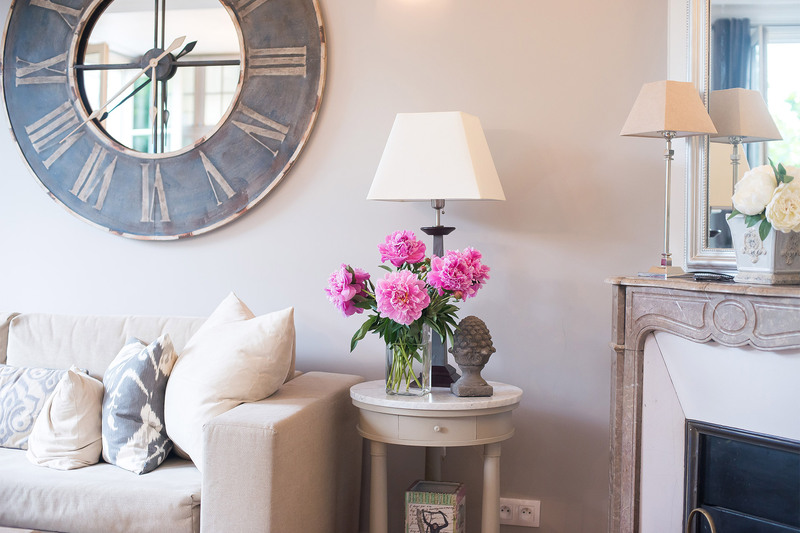 The beautiful and cozy..."
"We were happy to come home to the Bergerac apartment each day, especially to get out of the cold and rainy weather. Our girls, age 4 and 2 loved looking at the Eiffel Tower. Our 2 year old said "bread" for the first time while here. It must have been because the French bread is so..."
"The apartment is perfect way to "play French" for a week. Walking to the markets, buying bread and meat, strolling under the Tower....so much better than being a "tourist". Once again Paris Perfect exceeded our expectations and provided us with a home, not just a place to..."
"We enjoyed our stay especially New Years Eve with all the festivities outside our apartment windows. A sight we will never forget. Paris is lovely and quite enjoyable. "We had a truly fantastic time. It was the highlight of our European trip. Spectacular, exciting, fascinating. We loved it all. Just wish we could have stayed another week at least. We'll be back. Australia does not seem so far away any longer. The apartment was truly "Paris..."
"My husband and I celebrated my 40th birthday with two other couples in Paris. We had the most incredible vacation. 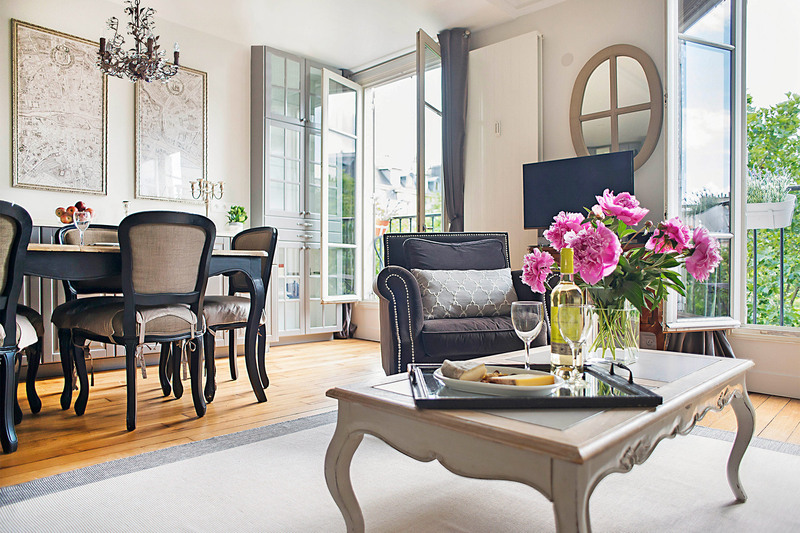 The beautiful apartments we rented from Paris Perfect enhanced our visit. We rented the St. Emilion and the Bergerac apartments. They were both on the 6th floor of a lovely building...."
"Bonjour, I recently returned from a week in Paris with my 17 year old daughter and three of her best friends. We stayed in the Bergerac apartment. The Bastille Day fireworks over the Eiffel Tour was breathtaking. 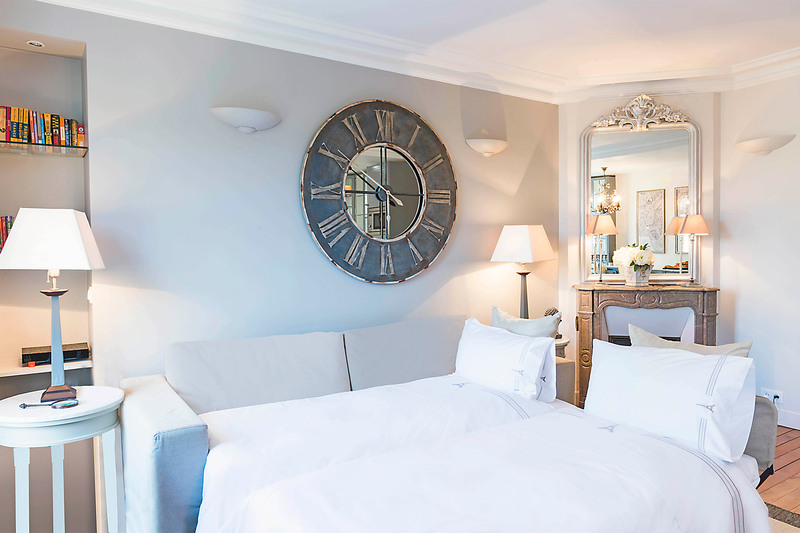 Frankly, it was like living in a dream to wake up and go to sleep every night looking..."
"Thank you Madeline and Philippe for creating such a perfect travel experience through your beautifully appointed apartments. We just returned from two weeks in your Bergerac Apartment with our 6 1/2 year old son (our first trip abroad since he was born). Our time in Paris was magical. Paris is a..."
"Your Bergerac apartment was, indeed, "perfect" for our needs--and after our wonderful week there in March 2005, we are happy return customers, looking forward to a London stay with Londonperfect.com this year. 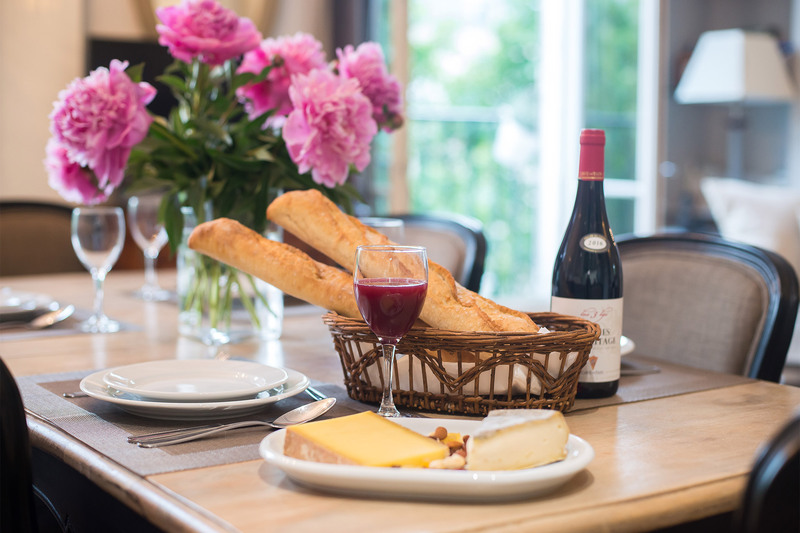 We will certainly recommend Paris Perfect to friends (even at the..."
Our Bergerac apartment rental in Paris is located on the Left bank, 7th arrondissement, unquestionably one of the most sought-after locations in Paris. It is surrounded by cafés, shops, monuments, restaurants and the open markets of Paris; yet, the neighborhood retains its unique, village feel. An unobstructed and spectacular view upon the Eiffel Tower and Champ de Mars Park from the living room, dining area, and master bedroom. Stay in Paris and overlook the dark courtyard inside the building? Not an option; you invest a lot to come to Paris and you should be rewarded with an unforgettable view of this eternal city. 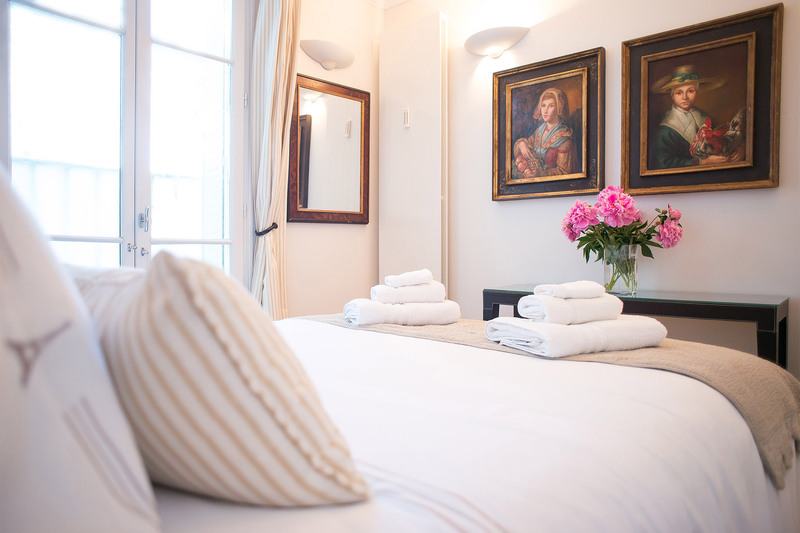 We think you will love staying in our apartment located in the middle of Paris! We leave several guidebooks and other information on the neighborhood for you to peruse during your stay and are happy for you to contact us if you have any further questions about our beautiful city. Pont de l'Alma RER suburban train (7 min walk): takes you directly to Invalides, Notre Dame and more. Welcome to the stunning Bergerac with Eiffel Tower views! View of the Eiffel Tower from the living room armchair! 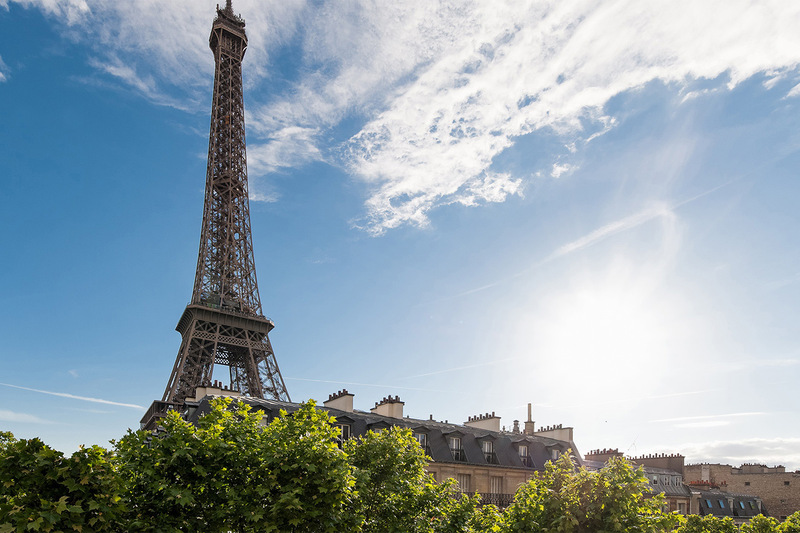 Take a short stroll to the Eiffel Tower just minutes away! Amazing Eiffel Tower views from the balcony! Priceless views right from the window!